After a fantastic year of OK Dinghy sailing, Jørgen Svendsen (DEN) has stormed to the top of the World Ranking List. In doing so he becomes only the fifth sailor – and the first who hasn't been a world champion – to hold the number one slot in the seven years since the ranking list was created. 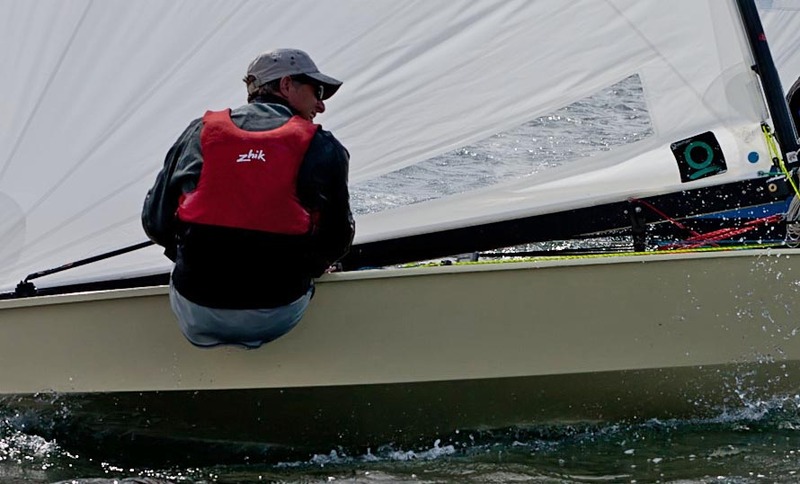 This last release for 2012 includes the Danish pre-worlds regatta, the world championship in Vallensbaek, Denmark and national championships from Denmark, Great Britain, Sweden, France and Poland. The Belgian Nationals should have been included as well but there was no wind. Six former world or European champions occupy the slots immediately below Svendsen while current world champion Andre Budzien (GER) rises to 19th, though has only sailed four ranking regattas so far after only joining the class earlier in 2012. Svendsen has risen to the top, from sixth in April's release, after excelling all year. He has sailed almost all the counting regattas, winning the Danish nationals and picking up a useful seventh place at the 145 boat world championship. More than anything else it perhaps goes to show that consistent event sailing can get you into the lead when combined with good worlds results. He leads a sizeable group of Danes who benefited from a home world championship this year, with six making it in to the top 20. Former world champion Thomas Hansson-Mild (SWE) took the Swedish championship, while Svendsen picked up a third place. The British Nationals was won by Lee Child (GBR) in his first counting regatta and he enters the list at 167, while the French Nationals was won by Olivier Hontanx (FRA) who also enters the list this time at 221. Encouraging for the class was that the Polish nationals was won by a Junior. Fifteen year old Dawid Kania (POL) took both the senior and junior titles convincingly, with three races wins out of the six race series. The next list will be published in February 2013 after the New Zealand and Australian Nationals and just before the next class world championship, due to be held in Pattaya in Thailand in April 2013. It would be an massive understatement to say that the class is looking forward to this event with eager anticipation. Containers are being prepared from UK, Europe, New Zealand and Australia for what is hoped to be the largest non-European OK Dinghy world championship for a long time.